We study the formation of Dark Matter nuclei in scenarios where DM particles are baryons of a new confining gauge force. The dark nucleosynthesis is analogous to the formation of light elements in the SM and requires as a first step the formation of dark deuterium. We compute this process from first principles, using the formalism of pion-less effective theory for nucleon-nucleon interactions. This controlled effective field theory expansion allows us to systematically compute the cross sections for generic SM representations under the assumption of shallow bound states. In the context of vector-like confinement models we find that, for nucleon masses in the TeV range, baryonic DM made of electro-weak constituents can form a significant fraction of dark deuterium and a much smaller fraction of dark tritium. Formation of dark nuclei can also lead to monochromatic photon lines in indirect detection. Models with singlets do not undergo dark nucleosynthesis unless a dark photon is added to the theory. M. Cirelli, N. Fornengo and A. Strumia, Minimal dark matter, Nucl. Phys. B 753 (2006) 178 [hep-ph/0512090] [INSPIRE]. W. Detmold, M. McCullough and A. Pochinsky, Dark nuclei. II. Nuclear spectroscopy in two-color QCD, Phys. Rev. D 90 (2014) 114506 [arXiv:1406.4116] [INSPIRE]. D.B. Kaplan, M.J. Savage and M.B. Wise, A new expansion for nucleon-nucleon interactions, Phys. Lett. B 424 (1998) 390 [nucl-th/9801034] [INSPIRE]. 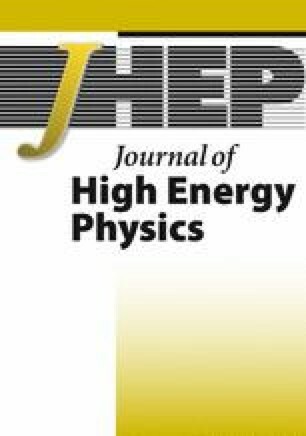 G.D. Kribs, A. Martin, B. Ostdiek and T. Tong, Dark Mesons at the LHC, arXiv:1809.10184 [INSPIRE]. NPLQCD collaboration, Light Nuclei and Hypernuclei from Quantum Chromodynamics in the Limit of SU(3) Flavor Symmetry, Phys. Rev. D 87 (2013) 034506 [arXiv:1206.5219] [INSPIRE]. M.B. Wise and Y. Zhang, Stable Bound States of Asymmetric Dark Matter, Phys. Rev. D 90 (2014) 055030 [Erratum ibid. D 91 (2015) 039907] [arXiv:1407.4121] [INSPIRE]. M.B. Wise and Y. Zhang, Yukawa Bound States of a Large Number of Fermions, JHEP 02 (2015) 023 [Erratum ibid. 10 (2015) 165] [arXiv:1411.1772] [INSPIRE]. D.B. Kaplan, Five lectures on effective field theory nucl-th/0510023 [INSPIRE]. H.A. Bethe and C. Longmire, The effective range of nuclear forces 2. photo-disintegration of the deuteron, Phys. Rev. 77 (1950) 647 [INSPIRE]. M.J. Savage, K.A. Scaldeferri and M.B. Wise, n + p → d + γ in effective field theory, Nucl. Phys. A 652 (1999) 273 [nucl-th/9811029] [INSPIRE]. G. Rupak, Precision calculation of np → dγ cross-section for big bang nucleosynthesis, Nucl. Phys. A 678 (2000) 405 [nucl-th/9911018] [INSPIRE]. E. Braaten, E. Johnson and H. Zhang, Zero-range effective field theory for resonant wino dark matter. Part I. Framework, JHEP 11 (2017) 108 [arXiv:1706.02253] [INSPIRE]. E. Braaten, E. Johnson and H. Zhang, Zero-range effective field theory for resonant wino dark matter. Part II. Coulomb resummation, JHEP 02 (2018) 150 [arXiv:1708.07155] [INSPIRE]. E. Braaten, E. Johnson and H. Zhang, Zero-range effective field theory for resonant wino dark matter. Part III. Annihilation effects, JHEP 05 (2018) 062 [arXiv:1712.07142] [INSPIRE]. J. Hisano, S. Matsumoto, M. Nagai, O. Saito and M. Senami, Non-perturbative effect on thermal relic abundance of dark matter, Phys. Lett. B 646 (2007) 34 [hep-ph/0610249] [INSPIRE]. Fermi-LAT collaboration, Updated search for spectral lines from Galactic dark matter interactions with pass 8 data from the Fermi Large Area Telescope, Phys. Rev. D 91 (2015) 122002 [arXiv:1506.00013] [INSPIRE]. D.B. Kaplan, M.J. Savage and M.B. Wise, Two nucleon systems from effective field theory, Nucl. Phys. B 534 (1998) 329 [nucl-th/9802075] [INSPIRE]. D.B. Kaplan, M.J. Savage and M.B. Wise, Nucleon-nucleon scattering from effective field theory, Nucl. Phys. B 478 (1996) 629 [nucl-th/9605002] [INSPIRE].